Size: XL (Waist ~32-34 inches x Length 16 inches) Please check size chart below for more information. 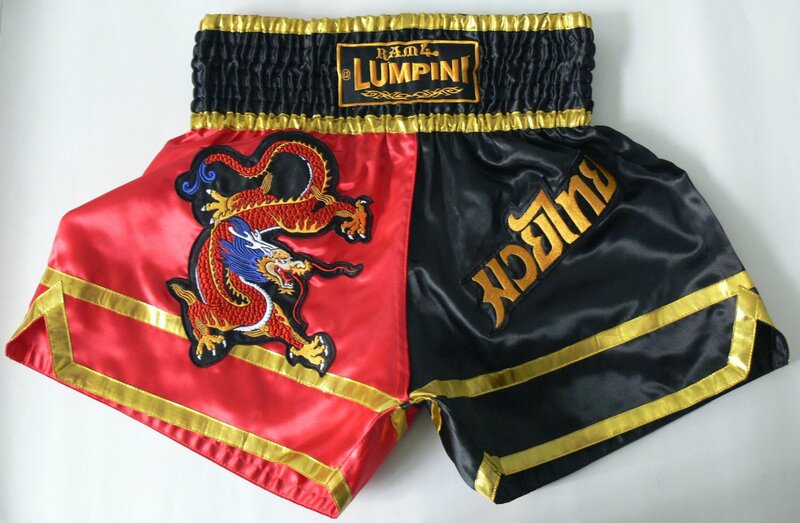 Muay Thai is traditional Thai sport and fight. It's been around in Thailand for at least 700 years ago. In the old days, it is used for fighting against opponent and enemy. Both Thai male and female used to be trained on Muay Thai since they are young. It creates a lot of body movement, self defence, attack as well as keep body in good shape. Nowsadays, it is very common MMA sports which is getting more and more popularity.